These mesmerizing earrings will get everyone talking. 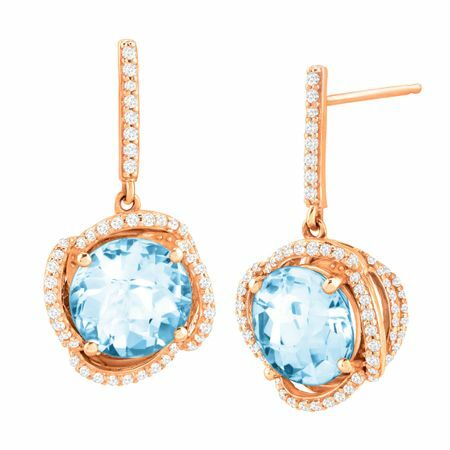 Round, checkerboard-cut natural sky blue topaz totaling 4 3/4 ct are encircled with diamonds totaling 1/3 ct in 10K rose gold. Pieces measures 7/8 by 7/16 inches.